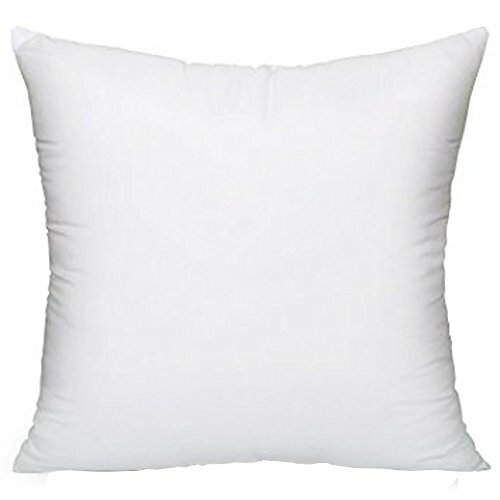 This pillow is filled with 100% soft polyester and it has a non-woven protective cover. Add a little flair and comfort to your rooms with new pillows covered in beautiful fabrics and trimmed elegantly. 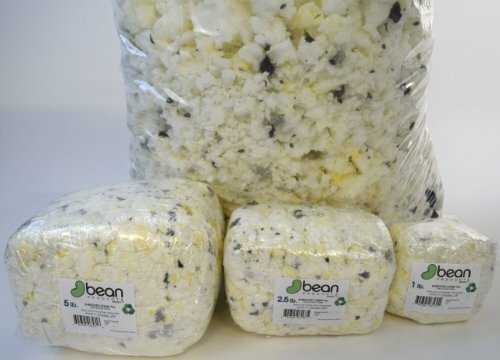 Vacuumed packed to save on shipping - expands when ready to use. 1 order is usually sufficient to re-fluff one small bean bag chair, use 2 for large bean bag chairs, 3 or 4 for extra large styles. Made in USA Sham Pillow insert. The Size is perfect fit for 18x18 inches Pillow Cover. The Pillow insert is designed for 18x18" Pillow Cover to have a nice and full looks. 100% Made In USA by PAL Fabric (TM). It weights 10 ounce. Measurements are seam to seam - After filling, the pillow will decrease about 10% - 15% in size; Order two inches up! 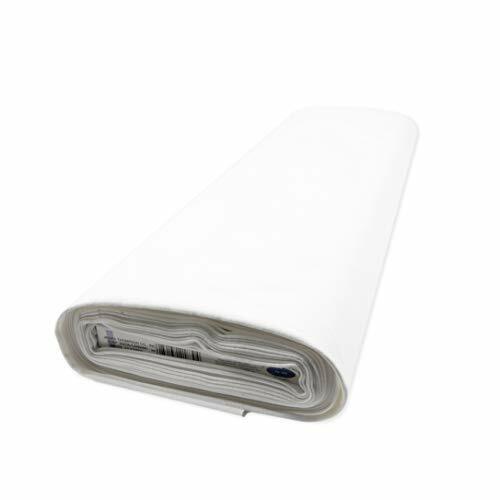 Note To Customers: For best results this insert is recommended for 20 x 20 or 22 x 22 sham covers, If your cover is 24 x 24 we recommend 26 x 26 inserts to provide a plump and full pillow from corner to corner. This pillow has 95% grey duck feathers & 5% duck down it has a cotton protective cover and is washable. Add a little flair and comfort to your rooms with new pillows covered in beautiful fabrics and trimmed elegantly. Fill goose down and feather into your down jackets, pillows and comforters and enjoy softer, warmer comfort all year long. You may be annoyed that your new down jackets was not warm after couple wears. Your comforter may start getting all lumpy once you rolled around after using few weeks. Your sleeping bag may be letting too much cold in at night. You can get our Goose Down and Feather Filling and repair or replacement of all your own things. DIY Items For Your Family Or Friends. 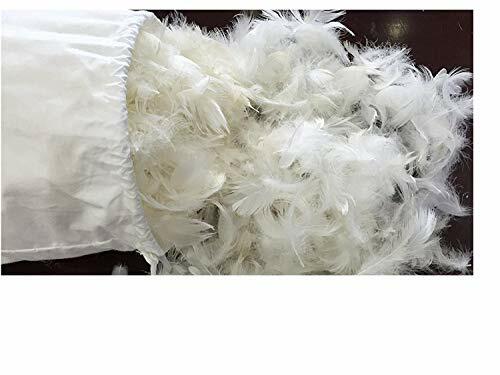 Natural Goose Down&Feather - Our fill is 5% White Goose Down 95% White Goose Feather, and hypoallergenic making it perfect for your family or friends. Creat Crafts For Your Family - Make the best homemade goose down&feather crafts, or DIY bedding. Repair Or Replacement of your own thing - Such as mattress topper, comforters, pillows, down jackets and so on. Stuffing Weight- 1/4 lb, best new raw material for your bedding. SERVICE COMMITMENT: If you have any questions about the item, please contact us. We will respond ASAP. 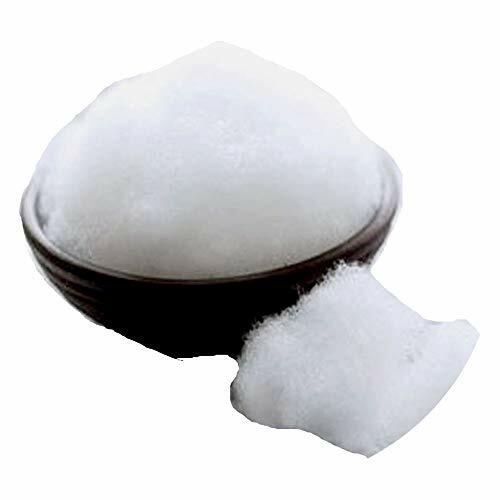 This product can be used for different purposes such as: Pillow stuffing Toy stuffing (i.e., teddy bears) Foam-wrap to smooth out the bumps, to give your foam cushions a soft look, making your sofa look new and comfy Canvas inserts for dog beds Other crafts and decorations Our product is 100% Premium Polyester Fiberfill. Ideal for creating decorations, stuffed animals, pillows, 3-Dimensional art projects and much more. Springy, dense and lofty, the material is easy to use. Machine washable. Multiple pounds (lb) will be cut as one piece.It creates no harm to the wearer, and the moisture absorbtion of the polyester is very low when compared to the cotton.But dimensional stability is very high when compared to other fibres. So it won't get crease and won't tear very rapidly. Add goose down to your jackets, pillows and comforters and enjoy softer, warmer comfort all year long. Are you annoyed that your new puffy winter coat fell flat after the first couple wears? Did your comforter start getting all lumpy once you rolled around after the first few weeks? Is your sleeping bag letting too much cold in at night? Then get a quarter-pound bag of Dream Solutions USA Goose Down Filling and top up the warmth and softness of all your personal items. Our quarter-pound bag of hypoallergenic 700 Fill Power, goose down is 100% natural and feather free, which means you can use it to fill your bed pillows, craft homemade stuffed animals or build-a-bear toys for children, for your Etsy projects, or even just to fluff up your comforter or old winter coat. Easy to use and extra soft, you'll love how warm and cozy goose down can make all your handcrafted DIY projects. 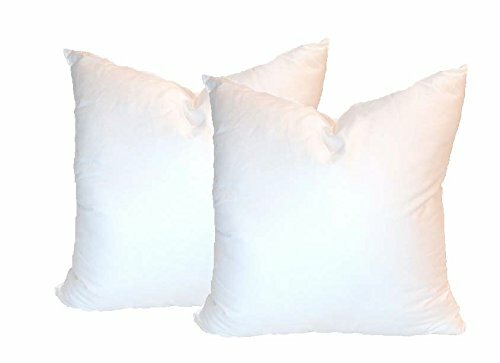 100% Hungarian Goose Down Natural White Hypoallergenic No Feathers Use for Replacement or DIY Projects Ultra-Plush Softness - 700 Fill Power Bag Volume: 1/2 lb. Click 'Add to Cart' above to get a quarter-pound bag of goose down feathers perfect for home crafts, refilling jackets or creating plush, ultra-soft homemade pillows. Natural Goose Down - Sourced from Hungarian geese, our fill is featherless, ultra-soft, and hypoallergenic making it perfect for beds and sleeping bags. Create Pillows and Crafts - Make the best homemade goose down pillows for your bed, craft stuffed animals, or DIY bedding projects and home d cor. Light and Fluffy 700 Fill Power Comfort - Natural white goose down is a warm, efficient insulator that's super plush and comfortable no matter the weather. Replacement or Repair - Add additional fluff to your pillowtop comforter, puffy winter jacket, or personal items that have fallen flat due to age or use. Large Fill Bag - Each Dream Solutions down filling bag comes with a half-pound of Hungarian down in every order, giving you plenty of down for every project! Add goose down and feather to your jackets, pillows and comforters and enjoy softer, warmer comfort all year long. Are you annoyed that your new puffy winter coat fell flat after the first couple wears? Does your comforter start getting all lumpy once you rolled around after the first few weeks? Is your sleeping bag letting too much cold in at night? Then get a one-pound bag of Bulk Goose Down and Feather Pillow Filling 10/90 Mix by Dream Solutions USA and top up the warmth and softness of all your personal items. Make those pieces feel as if it is new and fluffy again for that added comfortable feel. Our goose down and feather filling is hypoallergenic, 10% down and 90% feather and sourced from Hungarian geese. 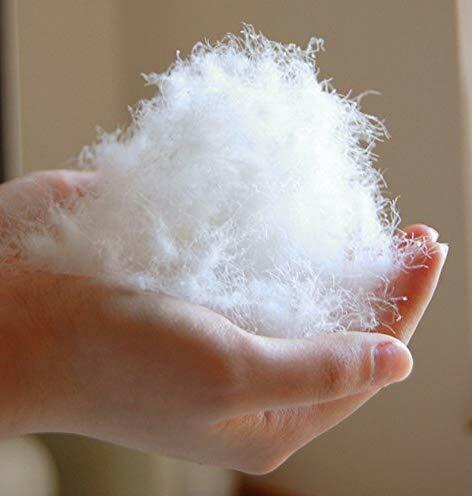 Our goose down and feather filling has multiple uses; you can add them to your pillows, jackets or perhaps to your favorite stuffed toy or to any pieces that needs to be re-fluffed. Easy to use and extra soft, you'll love how warm and cozy goose down can make a difference to all your handcrafted DIY project. Bulk Goose Down and Feather Filling Natural White Popular 10% Down and 90% Feather Great Quality Make Your Own Pillows Or Comforters. 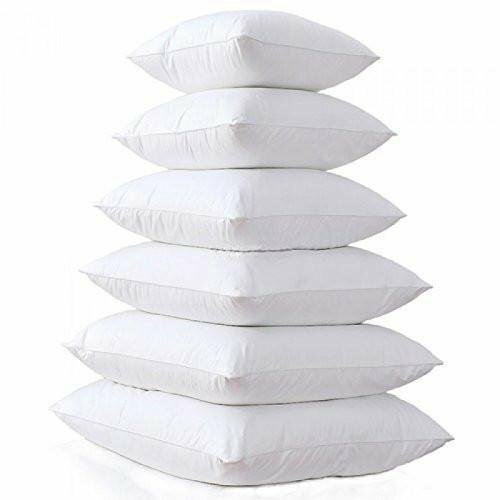 Repair or re-fluffed your Favorite Pillows, Comforters,Cushions Bag Volume: 1 lb Click 'Add to Cart' above to get a one-pound bag of goose down feathers perfect for home crafts, refilling jackets or creating plush, ultra-soft homemade pillows Stuffing. 10% Natural WhiteGoose Down and 90% White Goose Feathers - Sourced from Hungarian geese, ultra-soft, and hypoallergenic making it perfect for beds and sleeping bags. Light and Fluffy Comfort - Natural white goose down is a warm, efficient insulator that's super plush and comfortable no matter the weather. 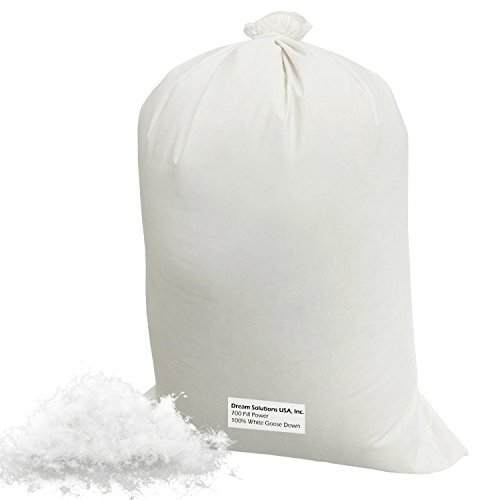 Large Fill Bag - Each Dream Solutions down filling bag comes with a one-pound of 10/90 Hungarian down/feather in every order, giving you plenty of down for every project! 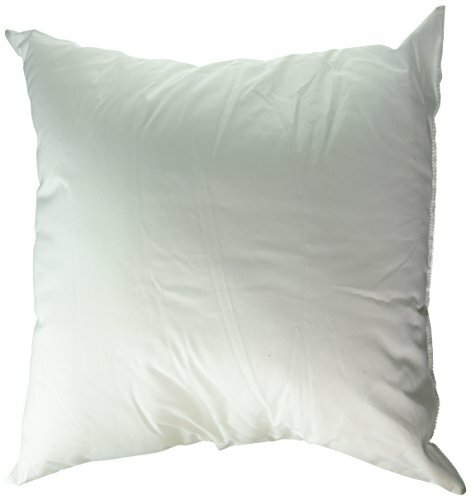 SUPERIOR QUALITY AT AN AFFORDABLE PRICE -- Enjoy the plush quality of our pillow inserts without paying a fortune. Money Back Guarantee - We stand behind the quality and design of our pillow forms. If you're not completely satisfied with your purchase, return to us with no-questions asked. With our 100% Guarantee, You Have Nothing To Lose; Click "Add to Cart" and your new pillow insert is on the way! To order the correct size pillow insert forms be sure to order your form larger than the sham you are using! A common rule of thumb for shams 18x18 and larger is to order a pillow form 2" larger than the sham. For example a 18"x18" sham should use a 20"x20" pillow form. The pillow forms you order should be larger than the sham you are using! Shams 18x18 and larger should use a 20"x20" pillow form. Shams smaller than 18x18 should use the same size insert or a size 1" larger if a fuller look is desired. A Pillowcase is open only at one end and generally contains a flange on the opening face where the fabric edge is turned over and sewn. GET THE PERFECT FIT. For best results use a 6" x 6" or 7" X 7" square sham cover for this pillow insert to provide a plump and full throw pillow from corner to corner. NO HASSLE. Caring for this beautiful pillow form is easy. 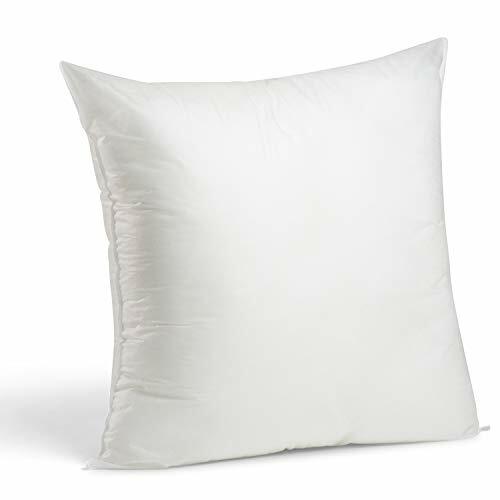 Our pillows are made of polyester and able to be Machine washed. Wash in cold water, tumble dry low and remove promptly from dryer. VERSATILE CRAFTING AND DESIGN. For use with any type of sham or cover, our fluffy and full stuffing makes these accent pillow forms look superb in any decorative pillow cover. Bring your favorite bed, couch or accent pillow back to life! PLUMP QUALITY FILLING. 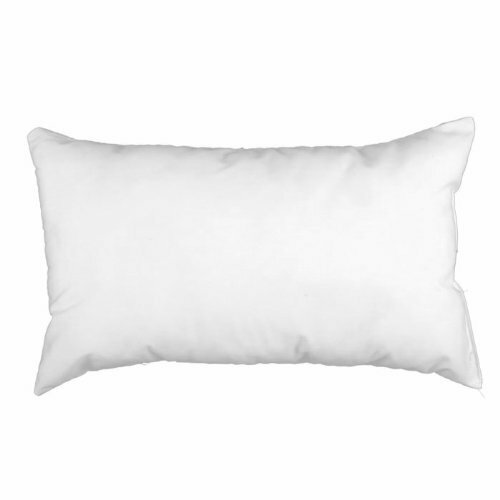 Our throw pillow stuffers are resilient and refluffable, filled with 100% soft polyester non allergenic, their cushion is soft and plush yet firm. LOW PRICE AND 100% GUARANTEED - If not completely satisfied, return with no-questions asked. We have our own factory to make feather down home textile products. We can design for you if you need. In fact, 90% down feather products or raw materials of the world is from China.This quality down and feather product will make your bedding far more luxurious and comfortable. Our all material is all natural. This fabulously affordable, real goose down not down alternative duvet will prove irresistible to everyone in the family.The huge down clusters mean it stays light and puffy for absolutely ages. If you want your bed to feel like a real treat, then get one of these. It'll keep you snuggly and warm, and because it's so breathable, you'll never feel as though you're overheating. Perfect! Impress your Friends and Family, this pillow is made to look great in your shams! 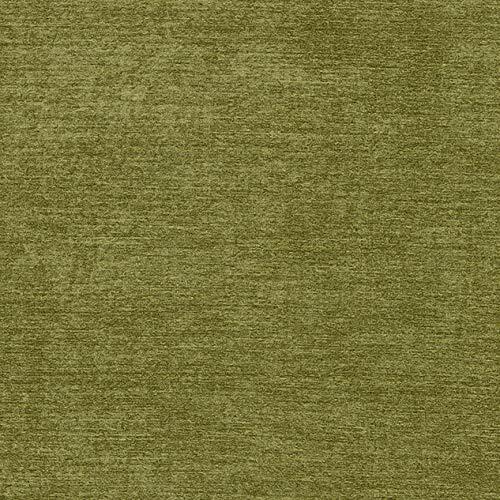 This versatile medium/heavyweight (9.3 ounces per square yard) cotton canvas fabric is quite versatile. Perfect for window treatments upholstery toss pillows bags backpacks and utility. Fabric sold as a 12 yard bolt. From Kravet this fabric is great for multiple upholstery uses toss pillows and more. 54'' wide. Fabric is sold by the yard and cut to order. For example, order of 1 yard (Qty=1) is 54'' x 36''. Order of 3 yards (Qty=3) is 54'' x 108''. 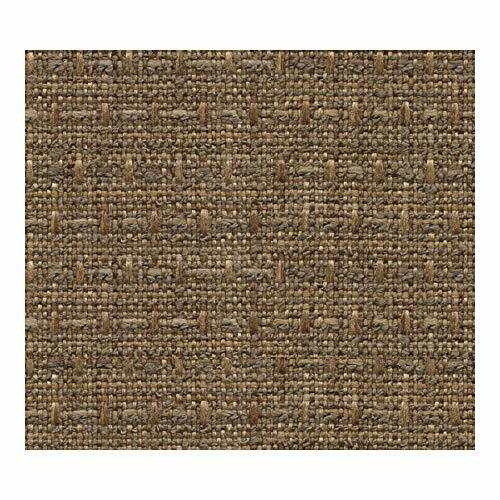 This medium/heavyweight double-sided chenille upholstery fabric features a double napped soft hand and is perfect for revitalizing an old piece of furniture and updating with a new look. Create accent pillows throws blankets and some window treatments. 57'' wide. Fabric is sold by the yard and cut to order. For example, order of 1 yard (Qty=1) is 57'' x 36''. Order of 3 yards (Qty=3) is 57'' x 108''. Brand: Europatex | Manufacturer: 301 Summit Ave. 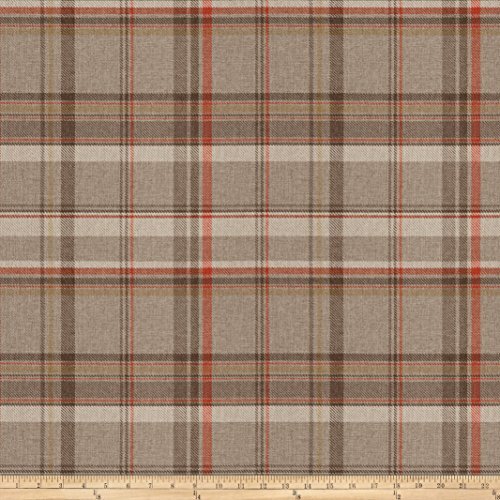 This lovely yarn dyed faux wool plaid fabric features a classic wooly hand and a twill plaid design that is perfect for anything in your home to your wardrobe. Use for heavier (and unique!) draperies valances cornice boards toss pillows and upholstery projects winter dresses and skirts blazers and lined coats even elbow patches! Fabric features 30000 double rubs. 58'' wide. Fabric is sold by the yard and cut to order. For example, order of 1 yard (Qty=1) is 58'' x 36''. Order of 3 yards (Qty=3) is 58'' x 108''.